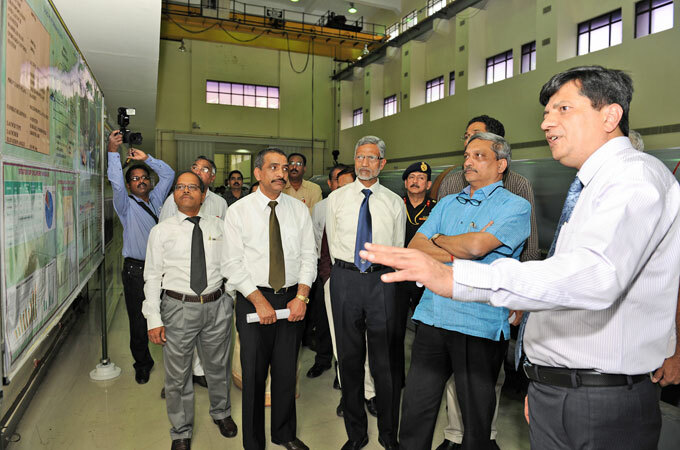 CEO & MD, BrahMos along with ED (Production) & senior officers of the project apprising Shri Manohar Parrikar about the weapon system and the recent developments. Photo: BrahMos. 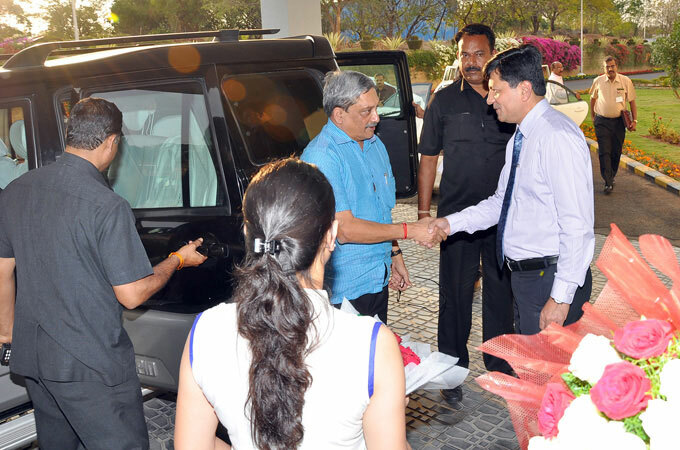 Shri Manohar Parrikar, honourable Defence Minister being received by Shri. Sudhir K. Mishra, CEO & MD, BrahMos Aerospace. Photo: BrahMos. 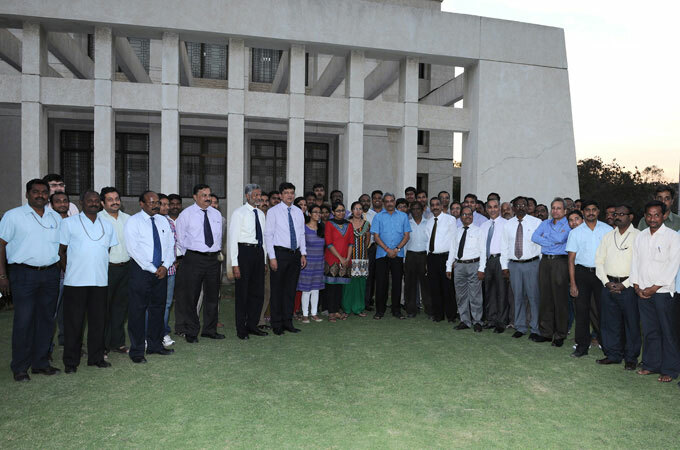 Proud Moment: Team BrahMos, Hyderabad with Shri Manohar Parrikar, honourable Defence Minister, GoI. Photo: BrahMos. 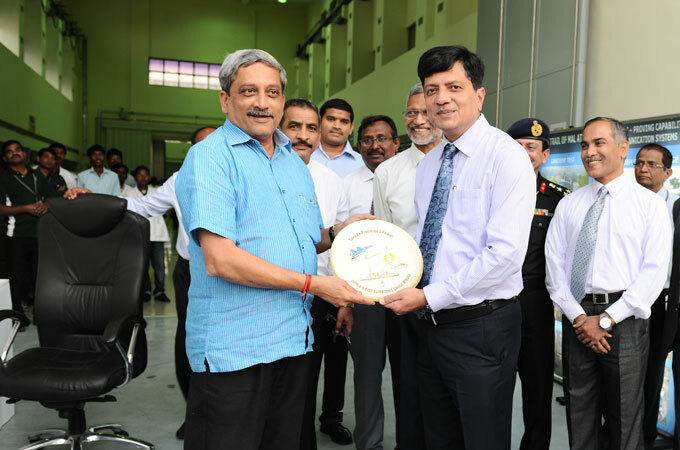 CEO & MD, BrahMos presenting a memento to the Honourable Minister. Photo: BrahMos.